Posted on July 16, 2014 July 16, 2014 by PADI Asia Pacific. Braving chilly 9°C waters, 14 divers at Dive HQ Christchurch in New Zealand took the plunge to Dive Against Debris last weekend, 12-13 July, joining thousands of divers across the world fighting back against marine debris. “We had a great morning on Sunday and got quite a good haul considering it was a first time for us,” said Colin Wadeson from Dive HQ Christchurch. In addition to the divers underwater, there was support on the surface to help haul out the rubbish safely as well as a rolling audience of ferry passengers passing by. Bottles, 2 bikes, 2 children’s scooters, a fishing rod, a wallet including cards and a trainer were amongst the items removed by the team and reported online. The strangest item that was brought to the surface was a meat grinder which must have been destined for a butchers shop at some time and never quite got there. By submitting their data online, Dive HQ Christchurch have put their survey on the Dive Against Debris Map putting their awesome local efforts into a global perspective. Dive Against Debris is a year-round, global, underwater survey of marine debris. As divers, we are in a unique position to see first-hand the damage that rubbish is causing to the marine environment. The data collected and the photos taken provide invaluable information to help portray this. A huge fins up to Colin and the team at Dive HQ Christchurch for helping make the ocean planet cleaner and healthier. 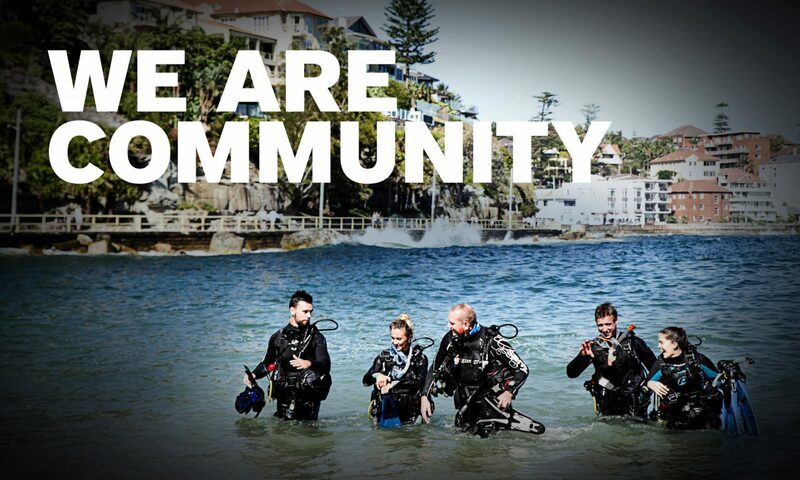 Join them in making your dive count and Dive Against Debris – all the resources are freely available to download from the Survey Kit and Event Organiser Kit. Previous PostPrevious Finathon: Are You Finatical about Sharks?